Miles Mikolas (1-1) allowed three runs on five hits in six innings, working around three hit batters in the first five innings. ST. LOUIS — Miles Mikolas sent a message against the Dodgers: Crowd the plate at your own risk. 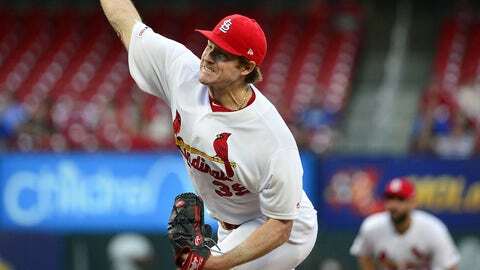 Mikolas pitched six solid innings despite hitting three batters, Marcell Ozuna homered and the St. Louis Cardinals rallied for a 4-3 victory on Monday night, ending Los Angeles‘ five-game winning streak. José Martínez: "It's always good. We're trying to find a way to be on the board and stay in the game the whole game. … It's pretty fun."